The last few years we’ve had a lot on the go. I’m sure you have, too. I mean, doesn’t everybody? Last year we undertook several big room makeovers, went on three major trips, and kept up with our boys busy sports schedule; all on top of both of us working full-time. We had a great year! All of that didn’t leave much time for getting, or staying, organized. Do you ever have days where you feel like all you do is tidy up? And even though I’m a really good tidier….I don’t want to doing so much tidying! Do you ever just feel BURIED by your STUFF? Overwhelmed by it all? Let’s get one thing straight, here. I’m not moving deeply into the world of minimalism. Because let’s be honest. I like stuff. Pretty things. Useful things. Sentimental things. But I have many things that don’t fit into any of these categories. And that’s where I need to start. Purging. Downsizing. Letting go. And I think it comes down to the fact that I’ve never given myself the TIME. The FOCUS. The PERMISSION. To make purging. downsizing. and letting go of “stuff” my most important goal. Because honestly, I think this is a big job. At least as big as a room makeover. Maybe even more time consuming. And definitely less exciting. But I also think it’s likely to be way more life changing. So I’m giving myself the next TEN weeks. No other major projects. No huge room makeovers or big renovations. I’ve come to the conclusion that to truly do this properly I need to dedicate myself to it… the time; the energy; and the focus. I have a tendency to get excited by new projects and ideas and leave other, less glamorous ones in the dust. But I’m not going to do that this year. To use the words that used to make my parents tremble in fear: I’ve got a plan! So here is the plan! Are you going to join me?!? I recently published The Ten Week Organizing Challenge Ebook! To make it that much easier to follow the plan! Below is just a list of the posts I wrote each week as I worked my way through the challenge. Please click on the links to be taken to the individual posts. Alternatively, sign up to have a weekly email be delivered to you with the details about each week of the challenge! Paperwork. The Command Center. Filing. School Papers. Aka the bane of my existence. How to set it all up and create a system that works! I started off week one by sharing a how-to for tackling paper clutter & organizing it once & for all. Then once you have your papers in order (and purged), I shared all about the essential elements of setting up a Command Center in my post: Get & Stay Organized with a System. Next, I shared how I actually reorganized my existing Command Center. And, finally, I went back at the end of the challenge and shared a new way to handle paperwork that involves organizing Paperwork with a Colour Coded File System. The Kitchen. Cupboards. Drawers. The Pantry. Under the Sink. The Fridge. The Freezer. Menu Planning. Shopping. The kitchen was the first real “room” that I tackled on this challenge! I started off the week by sharing some super creative kitchen organization ideas – many of which are DIY and affordable! Next, I tackled my own kitchen and shared the details with a clear how-to post : completely organize your entire kitchen. Lastly, I shared how we made our big wall calendar to help keep ourselves organized throughout the week with a tutorial on making our DIY Giant Chalkboard Weekly Planner . I also tackled the pantry!! Read all about it in How to Completely Organize Your Pantry . And to help with weekly meal planning and organization, I shared some Free Printable Weekly Meal Planner and Shopping List Planners! I also gathered together some awesome pantry organization ideas and inspiration in my post 20 Incredible Small Pantry Organization Ideas & Makeovers. The Laundry Room. The Mud Room. The Cleaning Supplies. I started off this week by sharing some wonderful inspiration in my posts about 20+ Beautiful & Organized Small Laundry Rooms and Small Entry & Mud Room Organization Ideas. I followed this with my own how-to and steps for how I tackled organizing these rooms in our home with How to Create an Organized Entry or Mud Room in a Small Space. ; followed by How to Completely Organize Your Laundry Space in Three Steps. The Bathrooms. Cabinets. Under the Sink. Cosmetics. All that extra junk. Week four is all about the bathrooms! I shared a collections of Ingenious Ideas & DIYs for Bathroom Storage & Organization, followed by my own how-to post full of tips and ideas for How to Completely Organize Your Bathroom! The Linen Closet. How many sheets and towels do we really need? Seriously, I’m a geek. Because this is one of my favourite weeks! After gathering together and sharing inspiration and idea in my post 20 Beautifully Organized Linen Closets , I decided to go full-out with this makeover and gave our linen closet a new paint job along with some beautiful new wood shelving. I shared a DIY tutorial on How to Replace Wire Shelves with DIY Wooden Shelves. Lastly, I completely purged and reorganized our own linen closet and shared the details in my post How to Completely Organize Your Linen Closet . The Master Bedroom. Closets. Dressers. Purging Your Clothes!! This is a big one, am I right? Dealing with clothing! Dressers, closets, accessories. All of it. I shared some serious inspiration in my posts 25 Ingenious Ways to Store & Organize Jewelry and 20 Incredible Small Walk-in Closet Ideas & Makeovers . Next, I shared my own process and how-to! I worked my way through this big job by first sharing How to Complete Purge Your Clothing. Once you’ve cleared out the clutter and you are ready to put it all away again, I shared 7 Tips for Organizing Your Closet & Dresser! After getting our bedroom under control, it was on to the kid’s room. I shared some awesome ideas for Organizing Kid’s bedrooms. Then I wrapped this week up with my own How to Completely Organize Kid’s Rooms post where I detailed what I did to completely organize our boys’ bedroom! The Playroom / Rec Room. Kid’s Spaces. Toys. Games. Books. The Craft Room / Office. The zone where is all goes to wait. I love this week! It felt so good to get this area cleaned up and organized. While not everyone has a craft room, many of us have a home office, and the tips I shared in my post How to Organize a Craft Room Workspace can apply to work spaces as well as craft rooms. This week I also gathered together and shared some super Creative, Thrify, & Small Space Craft Room Organization Ideas. I’m going to deal with: Filing, Kid’s Artwork, Keepsakes, Digital Family Photos etc. This week is meant for you to direct towards an area in your home or part of your life that you feel needs attention and order. I wrote a post all about Setting Organization Goals to Finish off the Ten Week Challenge. For my own goals, I shared how to Organize Paperwork with a Colour Coded File System. There are some additional areas that I plan to tackle and I will be linking to them here as I add them to the blog! And once you are done the challenge?? How to keep it up! I shared a post all about How to Stay Organized and what to do to keep things going after the 10 week organizing challenge. I also shared my best tips for staying on top of our cluttered lives in my post: Real World Organizing: How to Keep your House Tidy! So each week over the course of this challenge, I’m shared some inspiration and ideas with you as well as share my own personal journey and progress on the project for that week. What do you think? Are you going to join in?? I will send you a weekly email for the next ten weeks to keep you up to date with the challenge! This is definitely something that needs to be done at my house. Living in an apartment purging is a must you only have so much space. I like that you spread out the plan over weeks it can be overwhelming when thinking about it all at once. It’s always good to start the year off with organization. This is an awesome challenge and I will be featuring it tomorrow at Merry Monday. Hope to see you at the party! For some reason I thought when I retired in June my house would be more organized because I would have more time. I find I just have more time to create more piles! This is exactly what I’ve been looking for and I really want to live in a house in which I can see our beautiful slate end tables! Have others had trouble printing the Two week organizing tweak checklist? The letters aren’t spaced correctly. Too close together, touching and then too much space. It looks like such a great idea. Was looking forward to starting it. Now i am dissappointed. this is great. cant wait to learn more. While I am doing the 10 week challenge, what orhwr housework/responsibilities/chores do I need to keep doing? Thanks Krista! Started and finished Week 1. Command centre up and running and feeling in control of all that paper. Filing system….check! Your system and directions were very helpful. Hi Elke! So glad you found it helpful:) Good luck with the next step!! Thanks for this site.it will b very helpful, I hope to start mine for Lent. Thanks will keep u posted. Oh, I would like to start, after planning, with #4 because we have several downstairs storage closets that need cleaning out to make room for the stuff we really want!! Do you send all weeks at once? I SO need this. You have no idea!! I’m not ready to tackle this just yet but I welcome your emails. I will save them for when I get through my current mess. Thank-you for this post. I need it. I have a very small house and my sewing- quilting has taken over most of it. How do you store batting, either new in a package or the leftover from a project? Ever so often, I do donate it to a sewing machine store who sew for charity. Thank you for joining my Link Party! 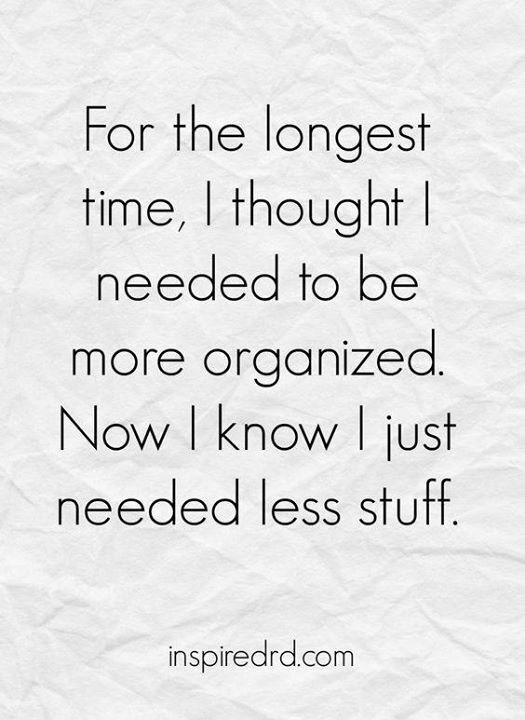 Your organizing tips are so helpful! Hope to welcome you soon again! Good luck! It works really well if you follow through with it – the commitment is worth it because it can make a huge difference in your life! I want to do the challenge!!! I think it will help me a lot to organize my entire house. I have to do it after work so it might take more than 10 weeks for me. However, I will try my best to make it happen. Wish me luck! Thank you the a great inspiration! This is a little disappointing. It basically seems to showcase purchasing a lot of organizers that I have no money to buy, and no room to put them if I did. It may be the layout of the post that is confusing you a little? The post you are on is only the very beginning page of the challenge. It lists and links to the posts that I shared each week as I went through the challenge. There are some that focus on ideas I’ve gathered for organizing each room or area, and another “how-to” posts with specific tips and ideas for purging and reorganizing that area of your home based on what I did as I worked my way thorough our home. The first post you came to has a list of all these posts for the ten weeks of the challenge, in the order of the weeks, with photos above the links. Also, you can sign up for the email list and you will get a weekly email for the ten weeks of the challenge explaining what that week is about and with links to the specific posts for that topic week. I hope that makes more sense. I my name is Sónia i’m from Portugal. I’m with You. wow,great plan and orgnized,i cant wait to follow it, thank you. Thanks for offering this as a sign-up challenge! I’ve been doing this on a smaller scale in hopes to have some workable areas in my home by Christmas, but I keep losing focus! The weekly e-mails will definitely help and keep me from forgetting. This is perfect. And so is everything else about your home. I can’t wait to start this! 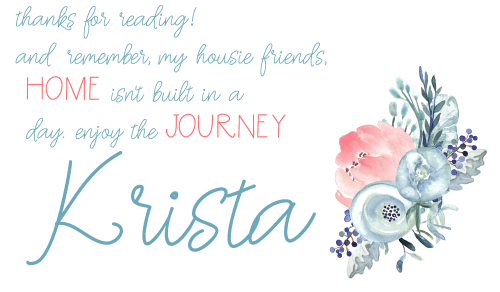 Krista, I just found your blog on Pinterest! I cannot tell you how much I needed this inspiration to get my own house organized! Your blog post is one of the most though and comprehensive plans I’ve come across on how to do this. I’m tackling my kids rooms first and I keep coming back to your blog to find inspiration for the next step. Your home is beautiful! Thank you SO much for sharing your knowledge with us all! Plus it’s nice to follow a fellow Canadian! Love the Canadian flag in your boys room! Hi Lori, Thank you so much for all of your sweet comments!! That flag project was an easy DIY! You seem to have such a handful, how do you do it? So thank you for motivating me to ‘let go’ and amazingly, it feels good! Then to organizing. Can’t organize stuff you hold on to. I really don’t want to move to a small one bedroom apt from two) but finances being what they are (I’m retired), it’s pretty much a foregone conclusion. Well, even if I am able to stay where I am or move, I’ll be prepared. And neat and organized! Fantastic, Mary! I each of the ten weeks of this challenge; I share ideas for organizing spaces as well as my own journey in organizing that specific space in our home. I talk about purging each area and the unnecessary “stuff” and then re-organizing it in the same post. I’m on week ten now; and it feels amazing! You can check out this main page and follow along with the posts under each room for ideas of how to purge and re-organize that space! But an initial purge is always a good place to start. Good luck! Obsessed doesn’t even scratch the surface. This is perfect. And so is everything else about your home. I need to use this as a guide. 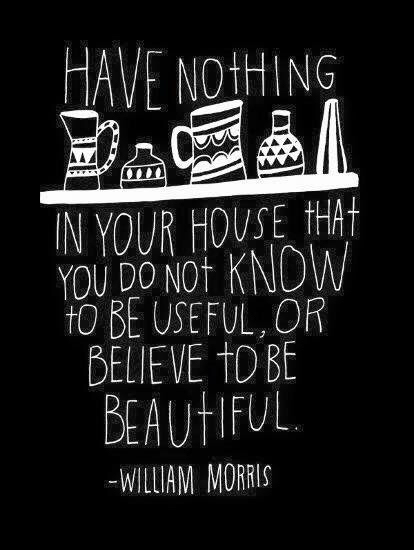 Note to William Morris: I have a few useful things in my house, but oh, so many beautiful things. I like his saying and just couldn’t keep from commenting. I enjoy your website. I am thrilled that you posted this. I took part in a similar blog about organizing financially in 2008 with Mary Hunt. I stuck to the plan and it helped immensely. I definitely need this. I will use week 10 for my craft room & art supplies. I hate you for posting this… I cannot unsee it now and I absolutely have to participate. I’ll tell you how much I love you when it’s over, k? Haha! I hear ya! It’s been a ton of work! But each room I move through feels so satisfying to finish… and it has been easy to maintain the ones I’ve already tackled. I kinda hate myself too when I think about how much is left to do… but I know I’ll love it once it’s over! Cannot find a link to join. Hi Shirley! If you sign up for my email list I am sending out updates each week as I work my way through the challenge. Within this main post you can click on then separate posts for each area – I add them as I publish them! I hope that helps: And good luck with your organizing!! I tried joining your email listing several times and just kept getting ChipMonkey errors that the page didnt’ exist. Hi Erin! I see that my post was having issues with my sign-up form! Sorry about that – I hope I have it all fixed now:) I can also add you manually if you like! Hi Shirley! I just went back and checked and my link for my signup form wasn’t set up properly in the post – I have adjusted it now so it is there correctly! If you want to be added to the email list you can do so at the bottom of the post or I can also add you in manually. I’ll have to change the order around some to fit what’ll work best for me & my apartment. I already have a start on some of these rooms. Do you have ideas on how to organize board games? I have a “box” designed for my Ticket to Ride games. I’m open to ideas on how to get the rest of them to work for me & not looks like an unorganized pile. Hi Martha! It definitely makes sense to switch up the order and make it work for you! Do you have any shelving near your board games? We have a bunch of board games in our basement – I shared a room makeover on that last Spring and will be tackling the organization of it again as part of this challenge – but for the most part the board games have stayed organized on our shelving. You can see that post here. I am ready to join, I have been looking for a good plan to get things organized this works for me. I will start next week on my days off. I am ready to be free of worries. I am switching your list to start what really needs help, that’s my daughters room. Thank you. Hi Dala! Glad to hear you are switching things around to make it “your own” process and journey! That is key! Good luck with your organizing project. I know it’s tough with work and family obligations (I work four days a week outside the home as well), but I’m determined to get through the whole thing this time around! Hi Janine! If you sign up for my email list (at the bottom of this post), that will ensure you get the updates – I’ll be sharing a variety of inspiration for each room as well as my own journey through organizing that space in our home with tips and ideas for how to get your own space organized. Hope that helps! I am so glad to know I am not alone. This whole too much stuff situation was becoming overwhelming. I know I will not be able to complete it in 10 weeks. But I feel less daunted knowing it is not just me and it can be done. I’m going to do this! But it’ll have to wait till I’m home in Feb. I’m at a school in San Antonio right now. I just happened on to your 10 Week Organizing plan on Pinterest and I am ready to join in! I lay awake at night overwhelmed by all the “stuff” accumulated over the twelve years in our home. I just don’t know where to start and this looks like a good plan! I will start this week with Week 1 on my days off. Thank you for giving me a little light at the end of a dark tunnel!! Thank you for linking up at the #HomeMattersParty I am really glad you did. I go through the reorganizing of my home every year. Honestly I don’t know where it comes from. This is my first year of blogging and now I have more stuff then ever. I like how you have a step by step plan, it makes it less daunting. I typically start with a garbage bag quota. I will decide to remove two garbage bags worth a day and start putting together my donations besides that. The quotes are perfect. Its going to be amazing when your done. I plan to start next week!!! This will ensure the entire house is ready for spring, instead of trying to do it all in one weekend. My week 10 will be the attic and garage. Purging things that we no longer use or even need. I was so impressed with your plan. I live in a large house with a husband and two grown-up kids who all turn almost everything they ever buy into the start of a collection! It ranges from guitars, books, die cast toy cars, old 33rpm albums…you name it! We got it! Any ideas how to encourage a person to let just “some” of their collections go? I have to admit, I have also found this way if life addictive, going antiquing, collecting chinaware silverware kitchen stuff etc. I logged onto Pinterest and this was the first thing I saw. Completely meant to be as I’ve been floundering with where to begin , and how to once its gone, get it all organized. I know! It can feel so overwhelming to get started! Once you tackle one small space it gives you motivation to keep going; at least that’s how I’m feeling after dealing with my paperwork and command centre this week! Good luck! I also just fell over this…well Pinterest suggested I look at it…did they know I’m getting ready to downsize to a smaller home? Almost half the size of this one. We have a bunch of stuff in the garage that belonged to my, now adult, daughters…who say they want it but never want to sort through it when they’re here visiting. I’ve decided the way to handle some of that is sending them photos when I come across a box of their stuff. Then they’ll have to decide what happens to it. Hopefully it will take some of the stress off me and put it onto the people who care about it. I also have things from several parents (mine and my husbands) who have passed away in the last few years. Even though I tried to be Judicious, I did save a few things that we liked. However, I really was too upset and overwhelmed to figure out where to put them, so they’re taking up room in the dining room, since we don’t use it. I obviously was in need of plan and now I have one. We’ll see what I can get done in ten weeks…I’ll probably have to take longer on some of the rooms. I not only have to sort and decide what to do with the things I go through, but I also will be packing some of it. For ex:I have three wide and tall bookcases and two tall narrower one’s. Yes, indeed, they are completely full of books. All to be gone through, and the remainder packed. Just to complicate things we also have a house in another state….some of the stuff will get shipped there. Egads….so many decisions. I figure if I start and plod along it will be better than sitting here having a panic attack…literally. Wow! It sounds like you have quite a job in front of you! I think the approach you are taking is a great one. Work away on one space at a time. I would encourage you not to move onto new spaces until you totally finish with one – or else we can tend to build up little piles of items and postpone decision making on things. At least, I know that I do that. I’m planning to purge and organize 100% in each area before moving on (instead of the 90% that I’ve done in the past…). Good luck – and wishing you buckets of energy and motivation!! Organizing your stuff is NOT the same as getting rid of junk. I’m so excited to have run into your email. I started week one ( unbenonced to me), with your 10 week plan. I decided that this new year was going to be the year of purging. Although, like you, I’m not ready to get rid of memorabilia, pretty things, etc. I want to get rid of all the paper. So I started with my utility (double wide) closet that housed all my cookbooks, magazines, etc. I had a boat load. I spent three full days going through all magazines looking for what it was that I thought I must keep for whatever reason. That was a mere dent. I ended up having the flu which set me back a few days. I’m just now feeling better. However, not well enough to tackle my long awaited project (s). Today, I decided to clean out my email (paper) because that didn’t cause me any undue stress, physically…Emotionally, another question…lol I’m excited to work along with you…count me in. Thank you! Wow! What a job!! I, too, struggle with getting rid of magazines. Maybe because I know they are so full of pretty and beautiful pictures… maybe because I know I spent money on them? Maybe because I associate them with having time to relax and read through them and I desperately want to have that time?? But I’m going to force myself to be tough and part with things that I know, deep down, are just adding to the clutter and that I really don’t need. Glad to have you along – good luck with the process!! Aaahh, the magazines!! They want to overthrow and rule the house! Haha I’m TERRIBLE about keeping magazines thinking I will have time to read them…someday. One thing I started doing, when I do have a little time to browse quickly through: Get a 3-ring binder and a pack of page protectors (even some dividers if you want to set up categories). Any article that you feel is important enough to keep for future reference or to reread more in depth later, tear or cut it out and place it in a page protector in the binder. That way you save the articles, recipes, etc. that are important to you without having stacks and stacks of magazines all over the house. Good luck! What a great thought-out approach to plan it over that much time (as you said, so it’s not overwhelming). I love keeping things organized, but also have a tendency to let things collect for longer than I should before cleaning them out. Excited to see how things go with the plan! I do the same! It can be hard to keep on top of it all when we are busy, but I’m hoping to get it all purged and then reorganized enough that it is easier to maintain! Love your weekly areas. How do I sign up?? Hi Tara! I will be posting 2-3 times each week sharing tips, plans, and my own progress. You can follow along through the blog – and sign up to get my daily or weekly emails is you like! I love this idea, but when doing these sorts of purges, i struggle to keep up with the rest of the normal every day household chores, any suggestions. You inspired me to create my own list. Now let’s see if I can stick to it! Hi Linda! It is great to personalize it to your own home and rooms (and areas that are an issue for you!). Good luck! I’m in! I totally want to do this but needed an achievable plan. Can’t wait to see the transformation at the end of 10 weeks! Great plan! I need to work on your week ten goals the most myself. That’s my goal for this year – artwork, keepsakes, and photos. It will take me way more than a week though!